A little bit of history is necessary in order to understand what Kosovo is, was and will become. Kosovo has been the last conflict zone within the Balkans and also within the former Yugoslavia. It was also among the first conflict areas right after Tito´s death and one of the catalysts for the dissolution of the former Yugoslavia. A greater Serbian Nationalism was the reason behind President Miloevic's rise to power as well as the cause of his demise. Miloevic used Kosovo as the nationalist cause that united the Serbian people all across Yugoslavia, this allowed his political persona to become seen as the savior of all Serbs and enjoyed popular support and great political success for most of the 1990´s. 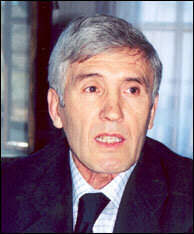 After Miloevic became leader of the Serbian Communist Party in 1989 and soon after President of the Republic, he was able to pass laws that eliminated the autonomy of the territory of Kosovo. The growing frustrations of many Albanians unsatisfied with the results of the passive resistance was lead by popular leader and current President Mr. Ibrahim Rugova during most of the 1990´s. These frustrations lead to the creation of the KLA. Rugova´s objective was to diplomatically force changes on Belgrade's policies towards Kosovo and the issue of its autonomy. With the rise of the KLA, tensions between Prishtina and Belgrade became irreconcilable. Further, ethnic disputes led Miloevic to react with full force sending tanks and massive numbers of soldiers to the province in order to bring it under his control and retain it within Serbia and the former Yugoslavia. "Miloevic tried to solve political questions, such as the status question, by basically putting all people in the region on wheels, which was the reason for the NATO intervention". Says Mr. Michael Steiner the head of the UN Mission in Kosovo. On June 10th 1999 the United Nations adopted Resolution 1244, making Kosovo a UN protectorate. Resolution 1244 of the UN Security Council also established UNMIK as an interim administrator of Kosovo. It was charged with the responsibility of re-institutionalization and preparation for self governance if that is the course the people of Kosovo are willing and able to take. Commenting on the regions achievements, Mr. Steiner says that Kosovo now has "an established government since March, and don't forget that we had to put it all together from scratch, there were no democratic institutions here, everything had to be built, in a way, out of need. As a result we now have a government, a functioning police force, and of course why not say it, also a number of shortcomings, especially in the economical framework, but these will soon be resolved". In order to administer Kosovo effectively a four-pillar structure was conceded. Each pillar is responsible for the different areas of administration and institution building. These pillars have been instrumental in developing and creating Kosovo´s first democratic institutions after the war. The first 18 months of UNMIK´s mission in Kosovo have been spent re-establishing the regions central and municipal administration network and basic services. On May 2001 the essential framework for Provisional Institutions of Self-Government (PISG) were established. These defined the structure, organizational roles and responsibilities of the President and Assembly of Kosovo. With the approval of a Constitutional Declaration and the creation of the essential legislative bodies, Kosovo has already been able to see the successful completion of two parliamentary elections. The results of the elections have been quite tied and a coalition of the three main parties has developed. The President of the Assembly of Kosovo, Mr. Nexhat Daci, says that this coalition has created a "Broad Base Government, a coalition of the three main Kosovar parties: the LDK, the PDK and the AAK. I am absolutely convinced and optimistic about the future of that government and the coalition". Some competencies, which until now had been reserved powers of the SRSG, are to be passed on to Kosovar leaders in the following months. The newly appointed Prime Minister of Kosovo Mr. Rexhepi explains that with the assistance of UNMIK " we are working to complete Cabinet of the Prime Minister, and the cabinets of the other ten ministers". Kosovo is in no doubt making progress and it has now moved from a reconstruction phase to a development phase. There seems however a lack of a carefully analyzed and comprehensive strategy that attempts to develop sustainable economic growth, while giving the economy a solid base and direction. This lack of direction can also be partly attributed to the many unresolved political questions associated with economic policies and freedoms, which inevitably translates into social discontent and obvious increased investor uncertainty. © World INvestment NEws, 2002.